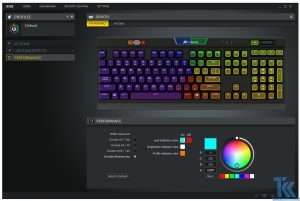 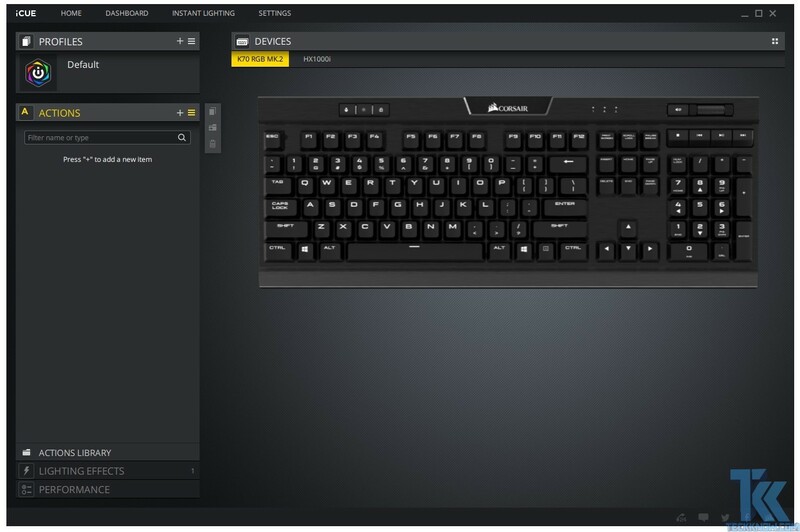 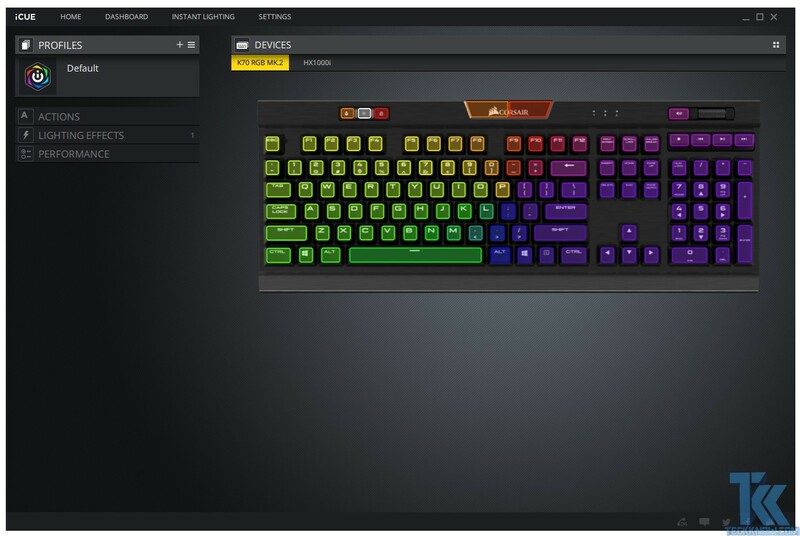 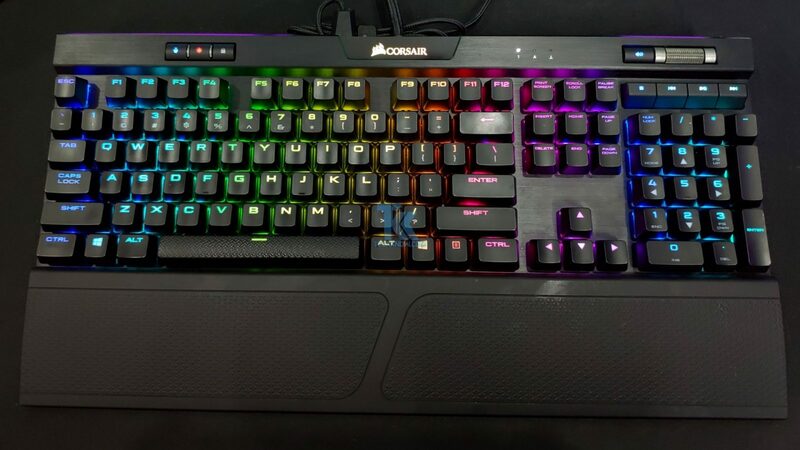 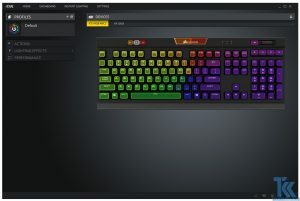 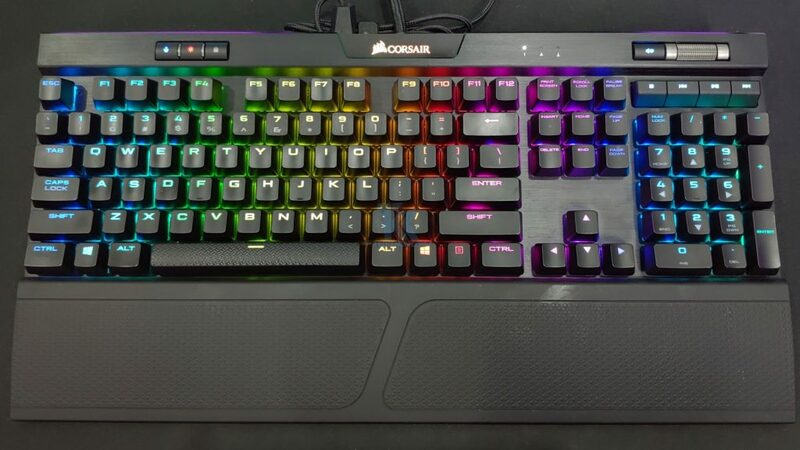 The K70 RGB MK.2 Rapidfire is completely customizable through their iCUE software if you have another iCUE compatible devices like a mouse, headset it will also work together. 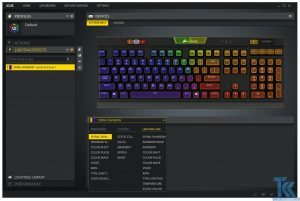 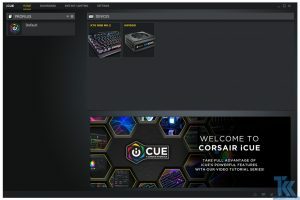 After opening the iCUE software for the first time it will automatically detect the iCUE compatible device in our case which is the keyboard only. 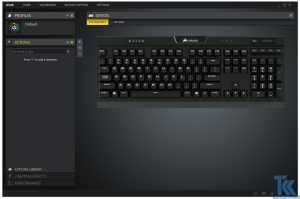 The software itself is difficult to learn out of the box but the majority of users will have used to it after playing around for a while. 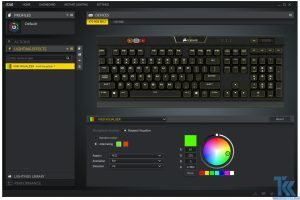 The lighting effect you can create with this software is very powerful. 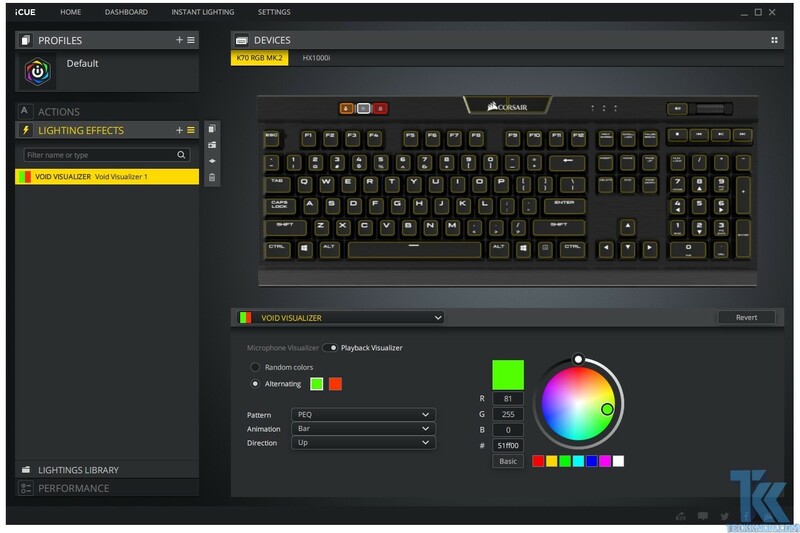 You can create multiple layers of colors, effects and even set the duration for the effect with this software. 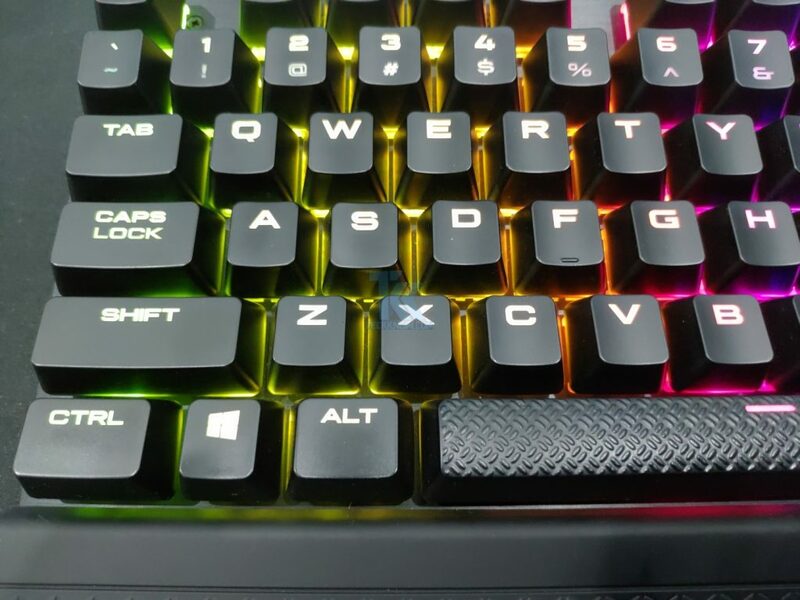 The most useful feature of this keyboard is you can save 3 different profile in your keyboard’s onboard storage which became handy if you use the keyboard without iCUE. 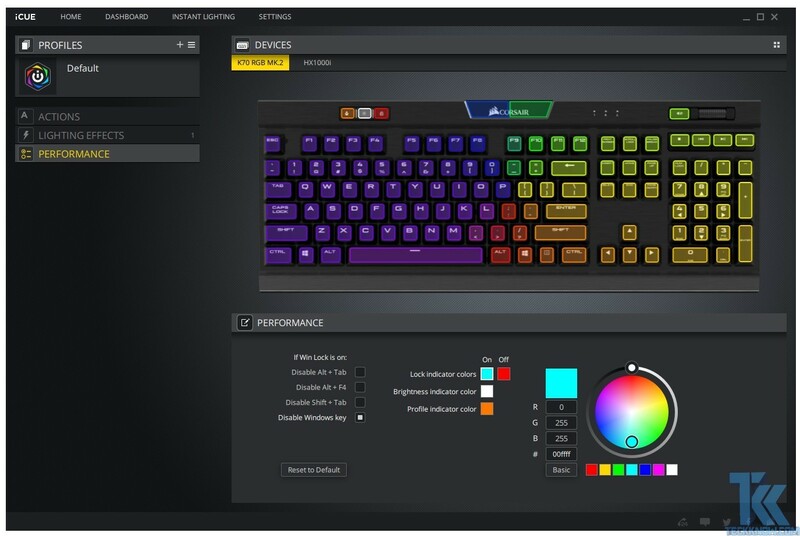 You can also upload user-created RGB profiles which open the door of endless possibility. 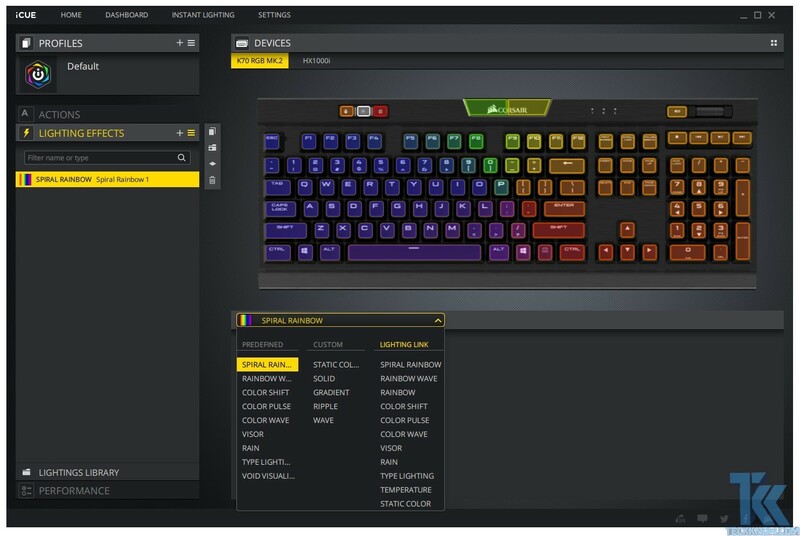 The iCUE software itself create an endless possibility of lighting effects, macros, and many other tweaks. 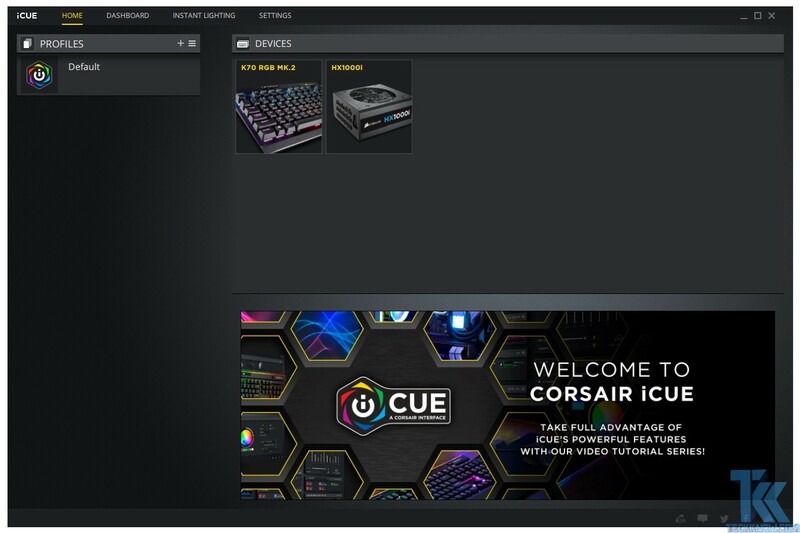 To perform those customizations through the software we really can’t show you the steps in this review because it will take another review or using guide for the software itself so we decided to link a youtube playlist here which will help you to understand the software better.